No festive season is complete without a contemporary cheongsam like this number over here. 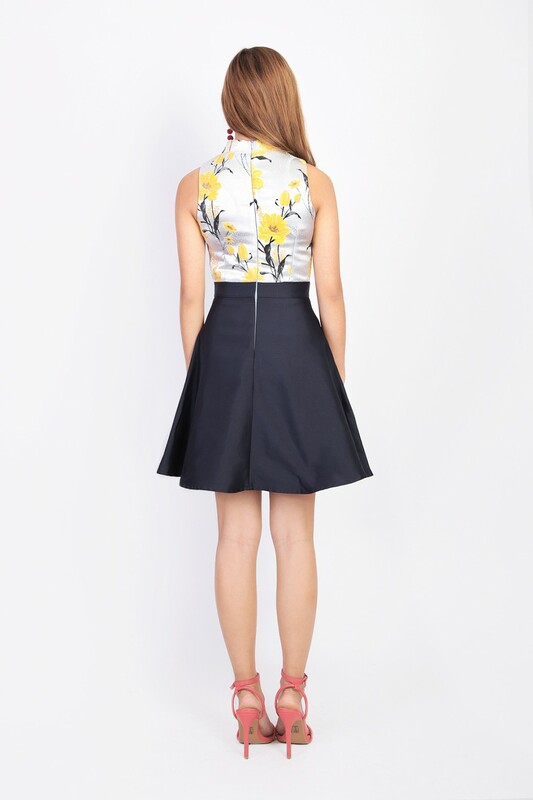 Get your cheongsam fix with this elegant frock, designed with a navy base for the versatility. Made of thick polyester-satin blend. Non-stretchable. Comes with back concealed zip and 2 side pockets. Fully Lined. Do refer to studio (white background) for color.